Everything's changed. Except its character. How do you follow up an icon? By not following anything but what made it an icon in the first place: Authentic design born of genuine capability, an unwavering sense of adventure, and a timelessly modern shape that's ready for what's next. True to form. True to function. While nearly every component of the G is new, its character carries over intact. 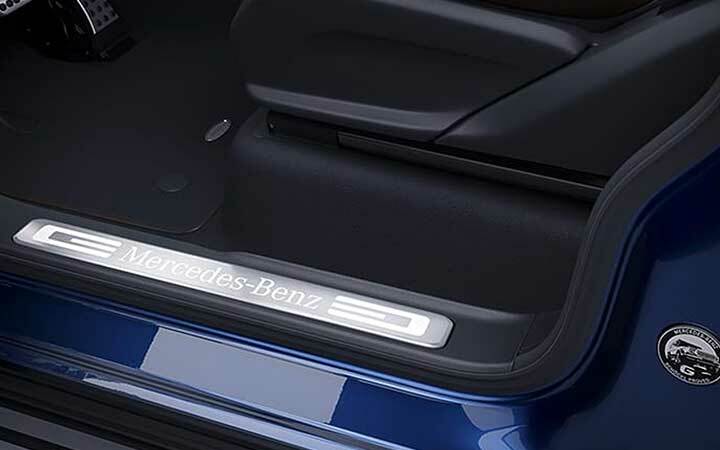 So do a handful of its crown jewels, including the beloved door handles that operate with bank-vault precision. Only now they lead to a spacious, ultramodern cabin. Crafted by loving hands. Built to outlive any trend. Exquisitely crafted, still almost entirely by hand, the G advances without abandoning its principles. Its ladder frame is stronger yet lighter. 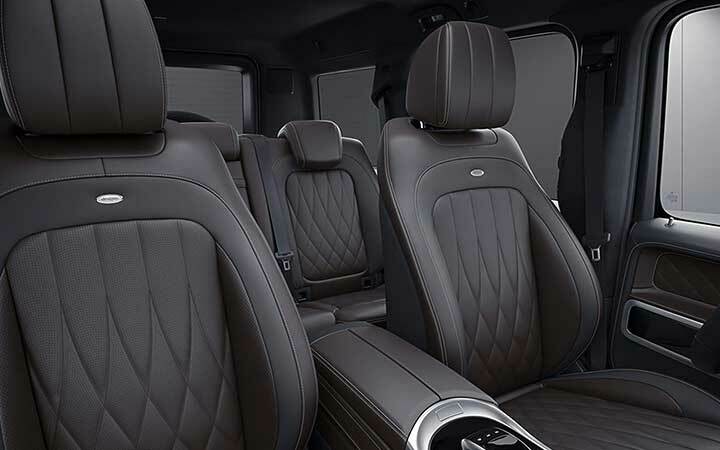 And its appointments are richer, from natural woods to 64-colour LED ambient lighting. Perpetually fresh. Not frozen in time. Familiar details take a fresh step. The classic round headlamps integrate active LED technology. 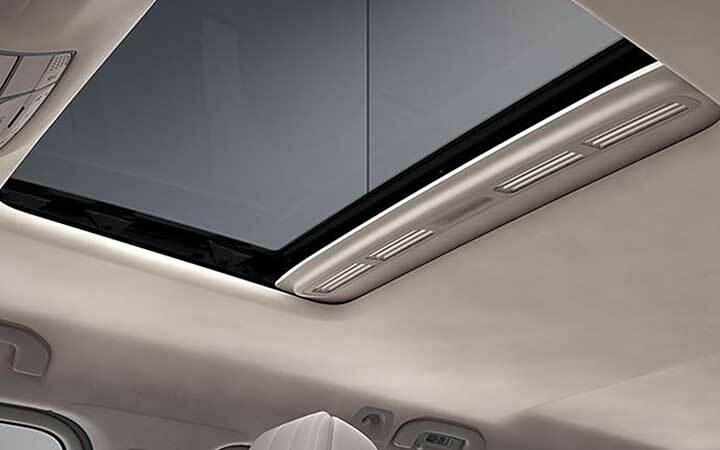 The sunroof is now heat-rejecting glass. And while the body is larger, its manoeuvrability is improved both off-road and in town. More spacious. More special. Welcome to the great indoors. Unmistakably a G. Uniquely your own. 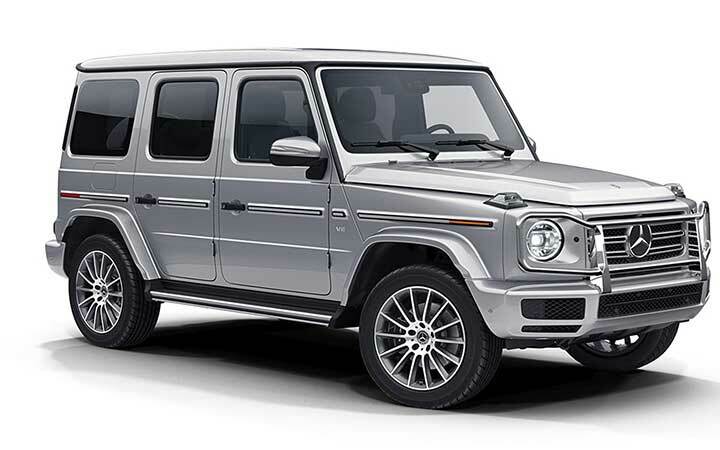 Dozens of gloss and matte paint colors, numerous 19-inch and 20-inch wheels, and a choice of Sport Package or Night Package styling options let you start your G-Class adventure when it's being crafted. Where you take it is up to you. 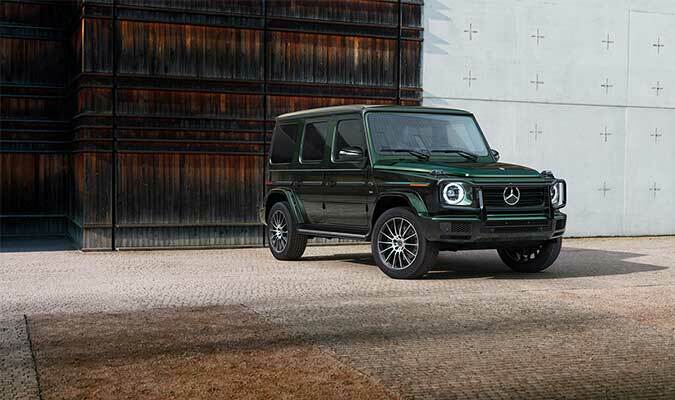 After 40 years of conquering terrain on every continent, the G-Class journey advances. 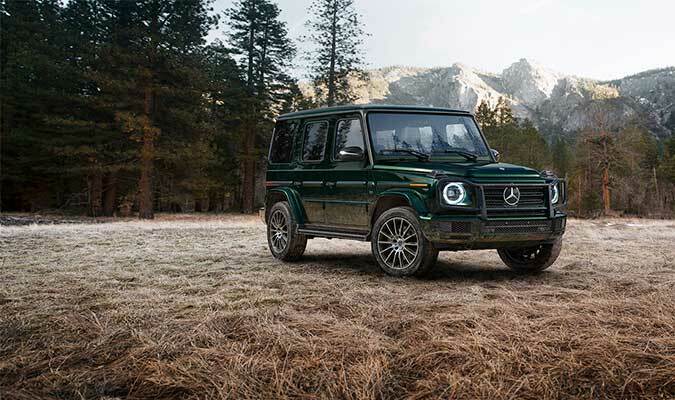 Along with its signature 4-wheel drive and three lockable differentials, virtually every measure of its off-road ability, from climbing to fording depth, is improved. Confident in any corner. Of the earth, or the road. A new independent double-wishbone suspension, rigid rear axle and electric power steering sharpen on-road precision while enhancing its capability off-road and comfort anywhere. 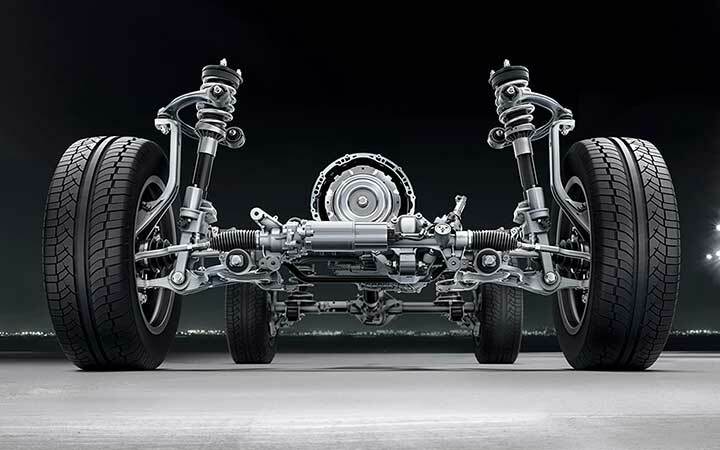 A multimode suspension offers adjustable damping. The power to accelerate progress. 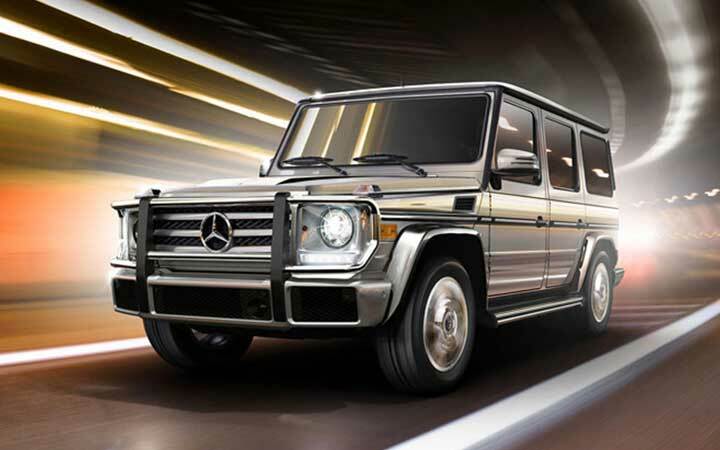 Generating 416 hp and 450 lb-ft of torque, the advanced biturbo V8 can thrust the G 550 from 0 to 100 in just 5.9 seconds. Along with numerous racing-derived features, its CAMTRONIC system can save fuel by seamlessly deactivating cylinders. Wider range of gears. Unmatched range of talents. 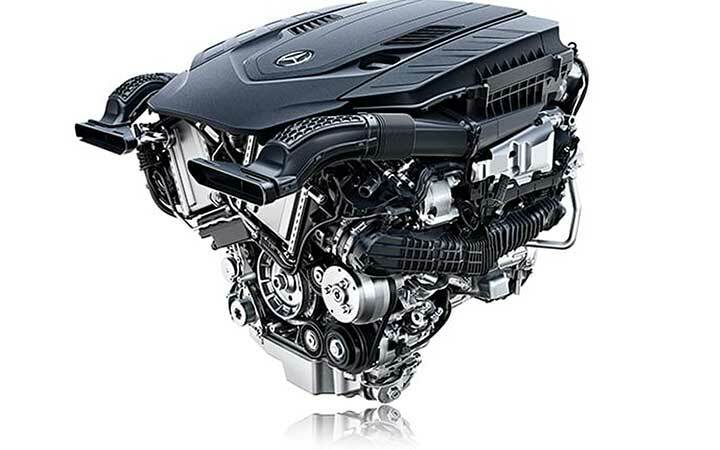 A new 9-speed transmission is sportier, smoother and more efficient. 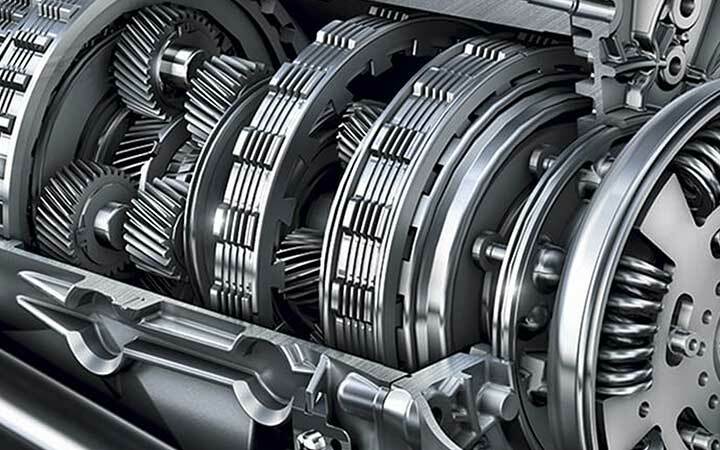 With a 2-speed transfer case, it offers one of the industry's widest gear spans. The driving modes of DYNAMIC SELECT let you fine-tune the G's performance. Within the timeless body is a state-of-the-art cockpit, with standard and available technologies from dual 12.3-inch displays, intuitive steering-wheel Touch Controls, and voice control for the navigation, audio and numerous comfort features. 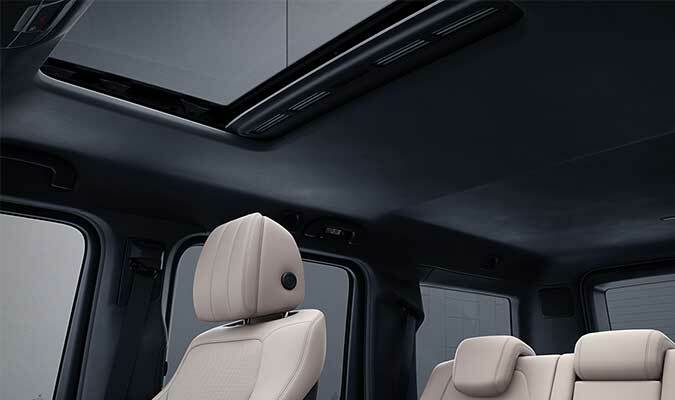 Change the cabin to suit your mood, or start a new one: An elaborate multizone LED ambient lighting system lets you choose among 64 colours, as well as a variety of motifs featuring two, five, or even slowly changing hues. Classic style, cutting-edge tech. The eyes have it. Classically shaped lamps feature brilliant advances. MULTIBEAM LED headlamps adapt to darkness, curves and vehicles ahead. 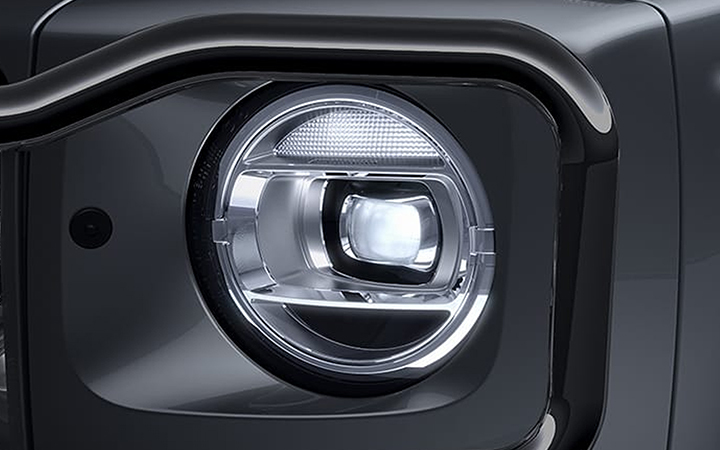 LED Daytime Running Lamps encircle each unit. Even the fender-top turn signals and taillamps employ 100% LEDs. More protective in nature. Or wherever you take it. Helpful connections. To help set you free. * Unsecured cargo can become hazardous in a collision. Always secure cargo using the floor-mounted tie-downs. ** Some systems are optional. Even the most advanced safety systems may not be sufficient to avoid an accident. It is the driver's responsibility at all times to be attentive to traffic and road conditions, and to provide the steering, braking and other driving inputs necessary to retain control of the vehicle. 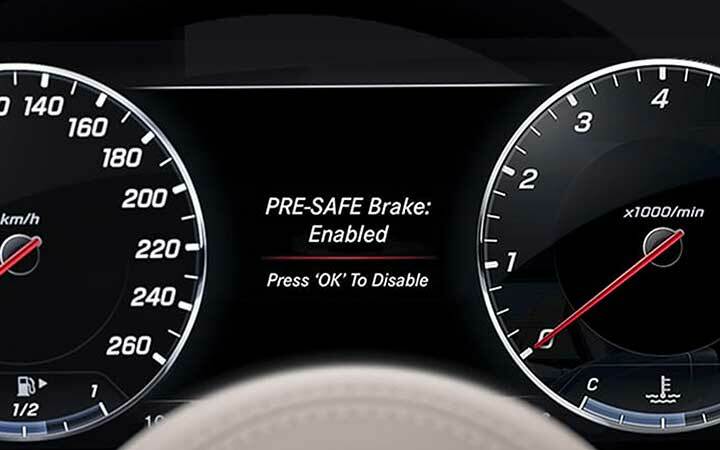 Drivers are cautioned not to wait for system alerts before braking or taking evasive action, as that may not afford sufficient time and distance. See Operator's Manual for system operating speeds and additional information and warnings. *** All Mercedes me services operate only where cellular and GPS signals are available, which are provided by third parties and not within the control of Mercedes-Benz Canada Inc. Mercedes me Assist Services, and 3 years of Mercedes me connect services are included at no additional charge with new-vehicle sales and leases at an authorized Mercedes-Benz dealer. Models with COMAND® navigation also include 3 years of over-the-air map updates, 1 year of Concierge Service, and a 1-month trial (up to 1GB) of in-vehicle WiFi and streaming audio. Subscriber Agreement is required for service to be active. Some services are only available on select vehicles. Your PIN is required to use certain services. Connection may be limited by cellular signal and other factors. Features may be introduced and updated at varying dates, and may also require a vehicle software update. Some services may be limited or restricted in some areas. Driver is responsible for complying with traffic and other laws. 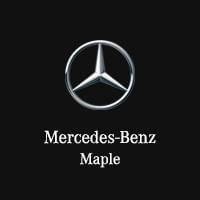 See your dealer or https://www.mercedes-benz.ca/en/owners/mercedes-me for details. 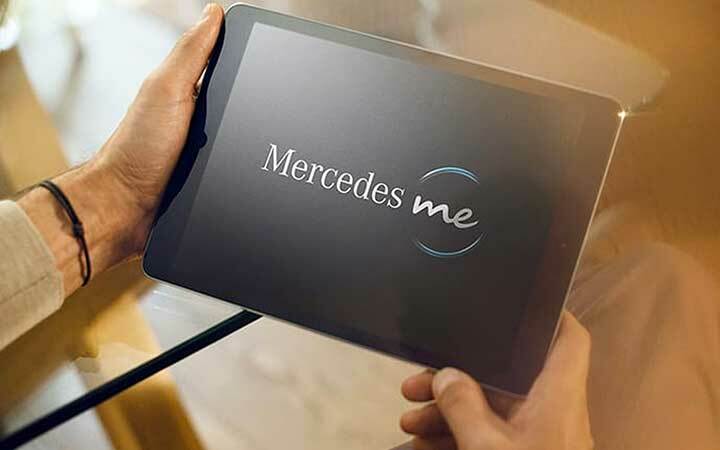 The Mercedes me Mobile App is compatible with Apple iPhone® models running iOS 7.0 or later, and Android-based phones running OS 2.3 or later.